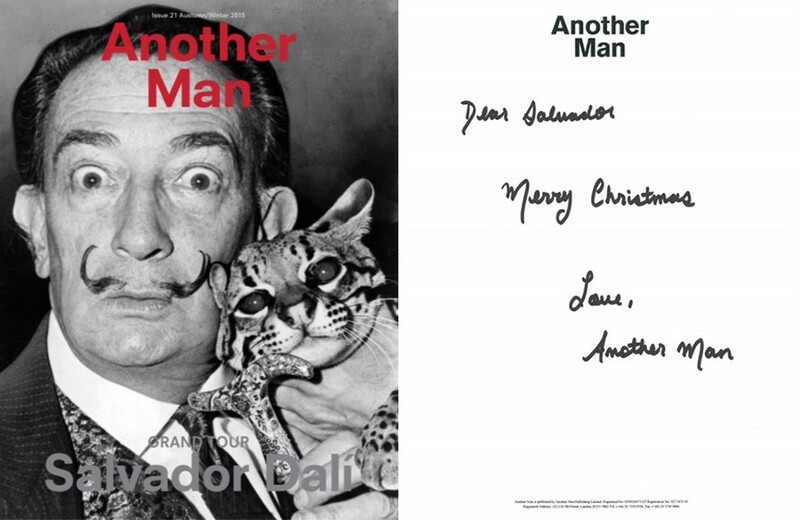 The fourth and final instalment of Another Man’s annual Fantasy Advent Calendar is dedicated to the surrealist genius, Salvador Dalí. Inspired by Spanish painter's flamboyant legacy, the Another Man team has selected a fittingly fabulous edit of gifts to garnish his hypothetical Christmas tree, starting with a dazzling mouth brooch by Givenchy – an ode to the iconic ruby-adorned lips brooch that the artist designed in 1949. Of course, no Dalí wardrobe is complete without white collar stiffeners to place under his siganture tailored jacket, and to ensure that long, waxy moustached stays ship-shape at all times, a metal and stag horn shaving kit by Dunhill is a necessity. Finally, to accommodate the artist’s peculiar travel needs (legend has it that when Dalí travelled by train he was attached to all of his paintings by a string) a matching set of hand-crafted Globe-Trotter suitcases and an antique pocket watch are both stylish and fitting.